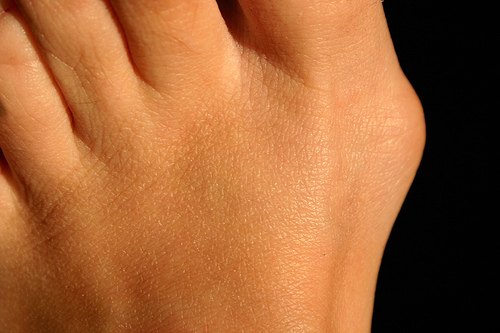 Most people think of a bunion as a bump on the outside edge of the big toe. But a bunion is much more than that, Dr Piccora explains. Instead of pointing straight ahead, the first joint of the big toe slants outward, angling the big toe toward the other toes. The “bump” forms as the joint becomes enlarged and the bones grow more and more out of alignment. 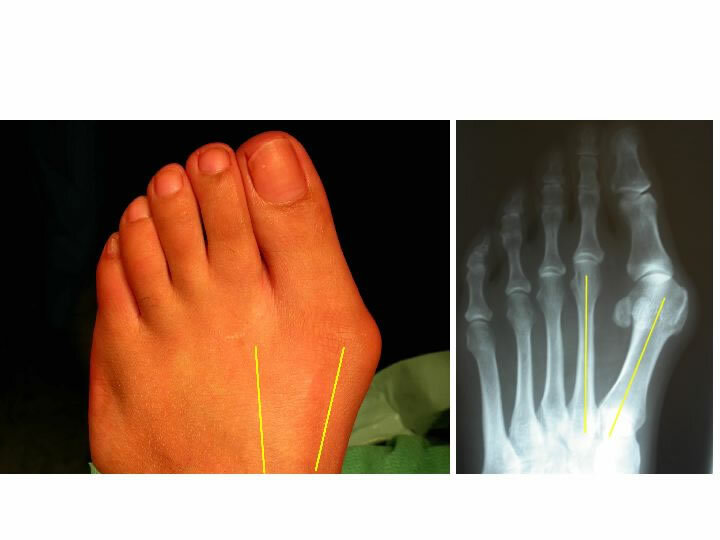 Bunions are essentially misaligned big toe joints that can become swollen and tender. In some cases, the joint stiffens, as well. Bunions cause pain, swelling, a burning sensation and sometimes numbness. Some people also develop calluses and ingrown toenails. If you’ve got bunions, you’ll probably notice them most when you’re wearing shoes that crowd your toes – shoes with a tight or pointy toe box or high heels. In addition, spending long periods of time on your feet can aggravate bunion symptoms. Unfortunately, bunions are progressive. They begin with a leaning of the big toe, slowly producing the bump, which gets more and more prominent and problematic. But some bunions progress more rapidly than others. Sometimes, your doctor will evaluate your condition and then simply observe the bunion, scheduling periodic office exams and x-rays to determine if the deformity is advancing. This strategy will reduce the chances of irreversible damage to the joint. In most cases, however, bunions require some type of treatment, which can include modifying your activities (avoiding anything that causes pain, such as standing for long periods), placing pads over the area, applying ice, and wearing custom orthotics in your shoes. If bunion pain is interfering with your daily activities and you’re not getting relief from other measures, you might need surgery. “The good news is that we’ve had several recent advances in the surgical techniques we use to treat bunions, so we’ve got a very high success rate,” says Dr Piccora. Today’s procedures remove the “bump” of bone and also correct problems in the bony structure and the surrounding soft tissues.